Most of the well established bloggers are using self hosted WordPress blogs as it provides a hell lot of features. Google’s blogger may be less in features but it is still the first choice for those who want to start their first blog without spending money. WordPress users can easily make their blogs mobile friendly using various plugins available for the same purpose. 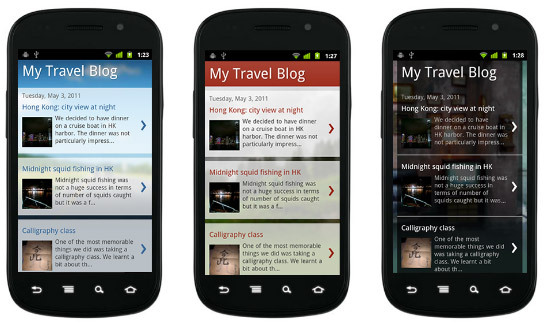 Now blogger users can also make their blogs mobile friendly as blogger team has announced new mobile blogger templates. Mobile blogger templates are nothing but mobile-optimized versions of Template Designer templates. When enable mobile template option and you are using any of these templates on your blog, your blog will begin rendering using the mobile version of the same variant. If you are using a customized template on your blog, you can still enable this feature to have your blog start rendering in a generic default mobile template. To enable the mobile template option go to Dashboard > Settings > Email & Mobile tab and click on Yes. On mobile devices, show the mobile version of my template and make your blog mobile phone friendly. Comments and videos: Viewers on smart-phone devices will be able to make comments and watch videos. It’s great to hear that blogger now launches mobile templates. Plus, the good thing is easy to use, no download or installation of anything is required. For the time being the features supported are enough. But we will be looking for more new bloggers features on our mobiles. Some errors occur when i try to open the Email & Mobile link can any one help…..